Most home sellers have heard the suggestion that it might help sell their home if they provide a scent such as fresh baked chocolate chip cookies or brownies. I haven't seen any science that this helps - have you? ​ a study done in 2012 which showed that the simple scent of Orange, increased retail sales in a home store. The shoppers in the simple Orange group spent 32% more than those who were exposed to a complex blend of scents. See the study below, done by Dean Eric Spangenberg. Given the details of the study below, it makes sense to me to apply this to selling a home. Of course your home needs to be picked up and staged to a certain degree - a scent won't mask unmade beds and peeling paint ;) for example. 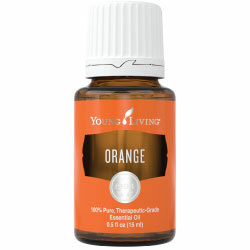 Second, my recommendation is to diffuse the simple pure therapeutic grade Orange Essential Oil. Why do I recommend that? Because of my personal experience. 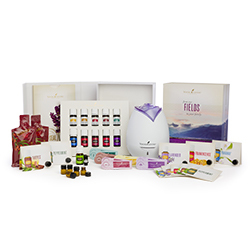 I am one of the growing number of people who feel ill when in the presence of chemical scents (whether disks, plug ins, squirt devices, strong laundry detergents, fabric softeners, scented gel beads, scented candles, or freshening sprays). The number of people affected by this phenomenon is growing, as the use of the products grew. So in search for myself, I came across this Orange oil before I came across this research to back up why we like it in our home. So yes, I do sell it now as an adjunct to our real estate business. We try to go more natural as much as possible. 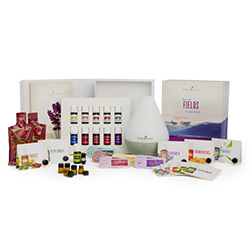 And yes, I tried some other oils, that said they were pure and therapuetic grade as well - however myself and my children could smell a chemical tinge in a blindfold test - I cannot risk the chemicals. And if what I learned in doing research to help myself (and my family) can help you in selling your home - well then it's a double win! Spangenberg and colleagues at WSU and in Switzerland recently found that a simple scent works best. Writing in the Journal of Retailing, the researchers describe exposing hundreds of Swiss shoppers to simple and complex scents. Cash register receipts and in-store interviews revealed a significant bump in sales when the uncomplicated scent was in the air. “What we showed was that the simple scent was more effective,” says Spangenberg. The researchers say the scent is more easily processed, freeing the customer’s mind to focus on shopping. But when that “bandwidth” is unavailable customers don’t perform cognitive tasks as effectively, says Spangenberg. Working with Andreas Herrmann at Switzerland’s University of St. Gallen, Spangenberg, marketing professor David Sprott and marketing doctoral candidate Manja Zidansek developed two scents: a simple orange scent and a more complicated orange-basil blended with green tea. Over 18 weekdays, the researchers watched more than 400 customers in a St. Gallen home decorations store as the air held the simple scent, the complex scent or no particular scent at all. "Real estate professionals have long paid attention to the smell of a home, making sure the scent is pleasing to buyers to hopefully bring about a quicker sale. But new research suggests that some of the common scents real estate professionals may reach for in prepping a home for sale can actually turn off home buyers. Some of the worst scents for real estate open houses: Potpourri, chocolate-chip cookies, gourmet foods, and other baked goods, according to the study. On the other hand, some of the best smells: Lemon, green tea, cedar, pine, basil, and vanilla. "These "complex" scents can actually backfire in homes, according to a study by Eric Spangenberg at Washington State University, who found that shoppers will spend 32% more in stores where he piped in a simple orange scent rather than a multifaceted blend of orange, basil, and green tea. The reason? Complex scents may be nice, but they're also more distracting as people try to figure out what they are.